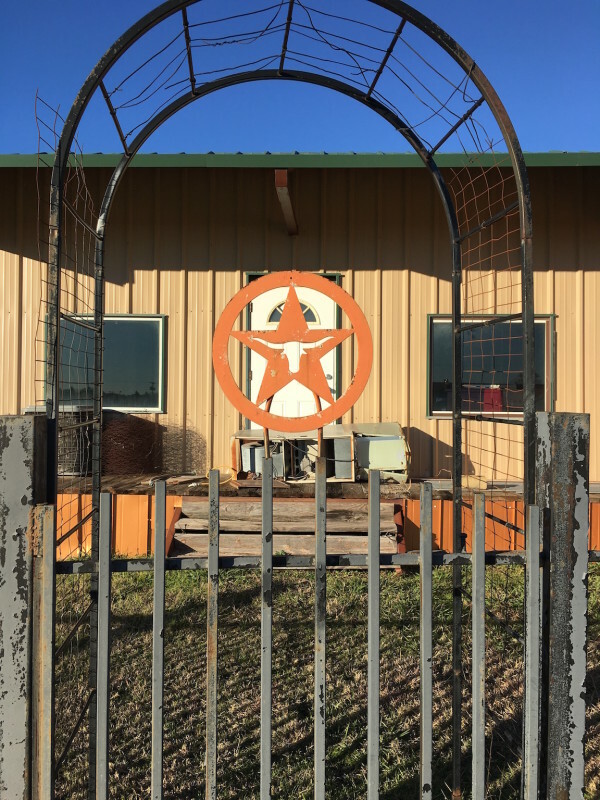 A Gate in Gainesville, Texas. When I walked the Girl at our motel in Gainesville, Texas, we came across this most-interesting gate. I’m Longhorn-sensitive now, after being indoctrinated by Daughter and her family. I noticed the logo and burnt orange immediately. The afternoon light lit the scene well. So, I made the capture while the Girl sniffed about.